others first above our own needs and wants. to be done on earth as it is in Heaven. has made Jesus Christ their Savior. 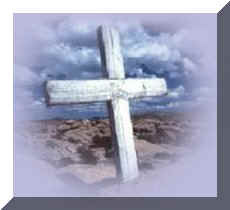 of the sacrifice of Jesus Christ (God's one and only Son) on the Cross for you. Acts 1:8 I am Christ's personal witness sent out to tell everybody about Him. Romans 6:18 I am a slave of righteousness. Romans 6:22 I am a slave to God, making me holy and giving me eternal life. Romans 8:17 I am a co-heir with Christ, inheriting His glory. 1 Corinthians 3:16; 6:19 I am a temple--a dwelling place--for God. His Spirit and His life live in me. 1 Corinthians 6:17 I am joined forever to the Lord and am one spirit with Him. 2 Corinthians 5:17 I am a new person. My past is forgiven and everything is new. 2 Corinthians 5:18, 19 I am at peace with God, and He has given me the work of helping others find peace with Him. Galatians 3:26, 28 I am a child of God and one with others in His family. Galatians 4:6, 7 I am a child of God and will receive the inheritance He has promised. Ephesians 2:6; Philippians 3:20 I am a citizen of heaven seated in heaven right now. Ephesians 2:10 I am God's building project, His handiwork, created in Christ to do His work. Ephesians 3:1; 4:1 I am a prisoner of Christ so I can help others. Colossians 3:12; 1 Thessalonians 1:4 I am chosen of God, holy and dearly loved. 1 Thessalonians 5:5 I am a child of light and not of darkness. Hebrews 3:1 I am chosen to share in God's heavenly calling. Hebrews 3:14 I am part of Christ; I share in His life. 1 Peter 2:5 I am one of God's living stones, being built up in Christ as a spiritual house. 1 Peter 2:9, 10 I am a member of a chosen race, a royal priesthood, a holy nation, a people belonging to God. 1 Peter 2:11 I am only a visitor to this world in which I temporarily live. 1 Peter 5:8 I am an enemy of the devil. 1 John 3: 1, 2 I am a child of God, and I will be like Christ when He returns. 1 John 5:18 I am born again in Christ, and the evil one--the devil--cannot touch me. 1 Corinthians 15:10 I am not the great "I AM", but by the grace of God, I am what I am. Romans 5:1 Since I am in Christ, by the grace of God...I am now acceptable to God (justified) and completely forgiven. I live at peace with Him. Romans 6:1-6 The sinful person I used to be, died with Christ, and sin no longer rules my life. Romans 8:1 I am free from the punishment (condemnation) my sin deserves. 1 Corinthians 1:30 I have been placed into Christ by God's doing. 1 Corinthians 2:12 I have received God's Spirit into my life. I can recognize the blessings He has given me. 1 Corinthians 2:16 I have been given the mind of Christ. He gives me His wisdom to make right choices. 1 Corinthians 6:19, 20 I have been bought with a price; I am not my own; I belong to God. 2 Corinthians 1:21-22; Ephesians 1:13-14 I am God's possession, chosen and secure in Him 9sealed). I have been given the Holy Spirit as a promise of my inheritance to come. 2 Corinthians 5:14-15 Since I have died, I no longer live for myself, but for Christ. 2 Corinthians 5:17 I have been made a new creature in Christ. 2 Corinthians 5:21 I have been made acceptable to God (righteousness). Galatians 2:20 I have been crucified with Christ and it is no longer I who live, but Christ lives in me. The life I now live is Christ's life. Ephesians 1:3 I have been blessed with every spiritual blessing. Ephesians 1:4 I was chosen in Christ to be holy before the world was created. I am without blame before Him. Ephesians 1:5 I was Chosen by God (predestined) to be adopted as His Child. Ephesians 1:7-8 I have been bought out of slavery to sin (redeemed) and forgiven. I have received His generous grace. Ephesians 2:5 I have been made spiritually alive just as Christ is alive. Ephesians 2:6 I have been raised up and seated with Christ in heaven. Ephesians 2:18 I have direct access to God through the Spirit. Ephesians 3:12 I may approach God with boldness, freedom and confidence. Colossians 1:13 I have been rescued from the dark power of Satan's rule and have been brought into the kingdom of Christ. Colossians 1:14 I have been forgiven of all my sins and set free. The debt against me has been cancelled. Colossians 1:27 Christ Himself lives in me. Colossians 2:7 I am firmly rooted in Christ and am now being built up in Him. Colossians 2:10 I am fully grown (complete) in Christ. Colossians 2:11 I am spiritually clean. My old sinful self has been removed. Colossians 2:12-13 I have been buried, raised and made alive with Christ. Colossians 3:1-4 I died with Christ and I have been raised up with Christ. My life is now hidden with Christ in God. Christ is now my life. 2 Timothy 1:7 I have been given a spirit of power, love and self-control. 2 Timothy 1:9; Titus 3:5 I have been saved and set apart (sanctified) according to God's plan. Hebrews 2:11 Because I am set apart (sanctified) and one with Christ, He is not ashamed to call me His brother or sister. Hebrews 4:16 I have the right to come boldly before the throne of God. He will meet my needs lovingly and kindly. 1 Corinthians 6:17 I am united with the Lord, and I am one spirit with Him. Ephesians 1:5 I have been adopted as God's child. Romans 8:28 I am assured that all things work together for good. Philippians 1:6 I am confident that the good work that God has begun in me will be perfected. 2 Timothy 1:7 I have not been given a spirit of fear but of power , love, and a sound mind. John 15:1 & 5 I am a branch of the true vine, a channel of His life. Acts 1:8 I am a personal witness of Christ's.